As spring dawns across the northern hemisphere and the off-roading season ramps up, AEV is excited to launch the all-new JL Borah DualSport Wheel, the company’s first beadlock wheel for JL Wrangler. AEV designers took inspiration for this wheel from the ruggedly beautiful country surrounding the Lost River Range and Borah Peak, the tallest mountain in Idaho and one of the most prominent in the contiguous United States. The JL Borah DualSport is a versatile wheel that can be purposed in three configurations. For daily driving customers can choose to run Borah wheels with no ring or with a Protection ring. Off-road adventurers can install the stoutly-engineered, fully-functional Beadlock Ring for wheeling in even the most extreme terrain. This wheel is designed specifically for the JL Wrangler, paying close attention to JL’s unique back spacing and center cap bore requirements. No Ring—The Borah DualSport is designed to have a seamless, finished, one-color look with no ring installed. In fact, customers can purchase the JL Borah wheel without rings and add the Protection Ring and/or the Beadlock Ring through separate purchase later. For the No Ring application AEV supplies black nylon hardware to prevent dirt and debris from building up inside the threaded bolt holes. This hardware can be easily removed later to accommodate installation of a Beadlock or Protection Ring. Protection Ring—The Protection Ring is a non-functional cast-aluminum ring designed as a sacrificial part to protect the wheel from trail scratches while providing the same look as the Beadlock Ring. 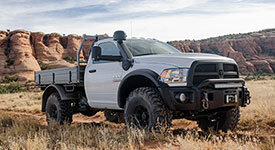 The Protection Ring installs very easily and comes with Grade 8.8 hardware; it is legally compliant both off-road and on the highway in all 50 U.S. states. Beadlock Ring—The Borah DualSport Beadlock Ring is designed for maximum strength and off-road durability by utilizing 16 mm thick, forged aluminum in the ring construction and custom Grade 10.9 metric hardware for increased shear strength to meet the highest torque requirements feasible. While it may be safe and legal to run beadlock wheels on the highway in some U.S. states, AEV recommends that the Beadlock Ring be used for off-road purposes only. (See below for further discussion of Beadlock Ring installation, proper usage, safety, and legal compliance issues). Borah DualSport for JL measures 17” x 8.5” and is made of sturdy yet lightweight A356-T6 cast aluminum. Like all AEV wheels, the JL Borah is thoroughly tested to stringent DOT/SAE J2350 standards and is covered by AEV’s Lifetime Structural Warranty. This wheel accepts the OE lug nuts, is compatible with the Wrangler’s Tire Pressure Monitoring System (TPMS), and features a valve stem recess to protect the tire valve from being torn off or damaged by an obstacle. The JL Borah is available now in either an Onyx or Satin Black finish – Onyx/Machined, Galaxy Black and Galaxy Black/Machined are all coming soon! The optional Beadlock Ring and Protection ring are both available in a silver or onyx finish that can easily be painted for a truly customized appearance.